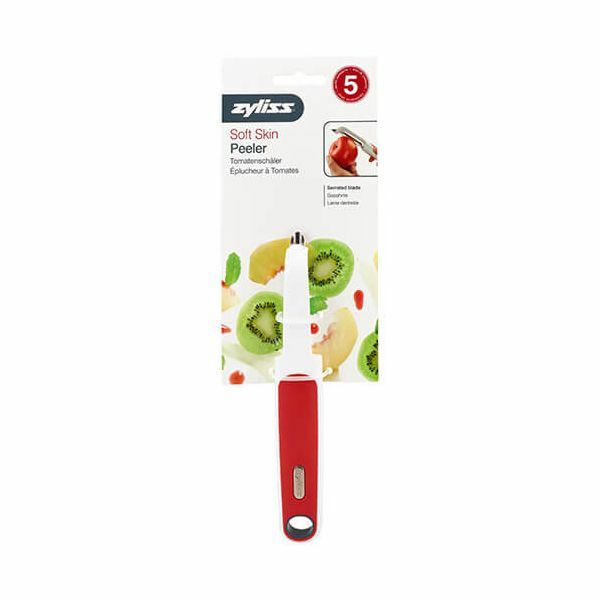 The Zyliss Soft Skin Peeler features a serrated blade for peeling soft fruits such as peaches. kiwis, pears and tomatoes. 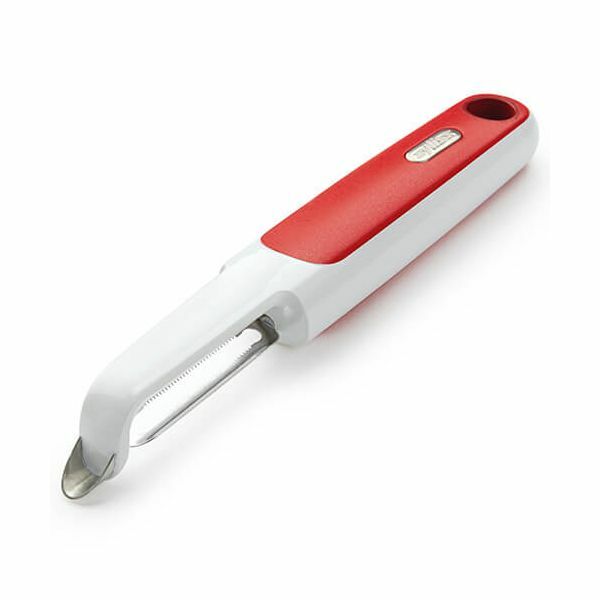 The serrated blade prevents it from slipping over the skin and will peel it away without causing damage to the flesh below. 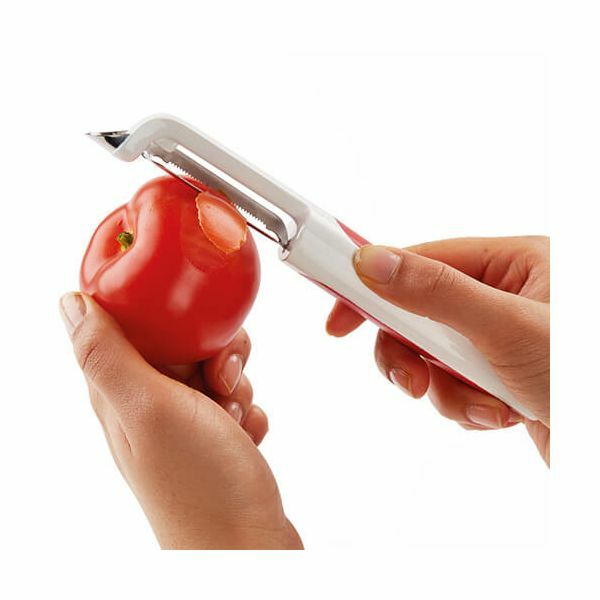 This peeler also features an eye cutter for removing blemishes and a comfortable, ergonomic handle. Supplied with a Zyliss 5 year guarantee.